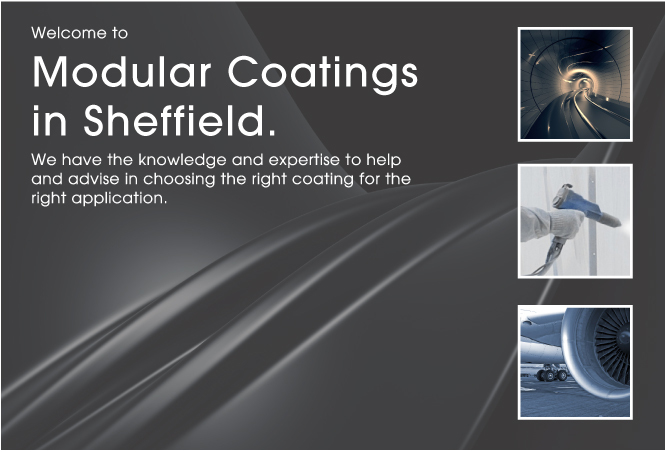 Modular Coatings are based in Sheffield and have a wealth of knowledge when it comes to powder coating as well as other specialised finishes. Their professionalism and expertise makes them a friendly and trustworthy team in all aspects of their services. Modular Coatings can offer a variety of applications from Powder Coating, Stove Enamelling, Multi-Coat Systems, Nickel EMI/RFI Protection, High End Maskings to Wood and MDF Finishing. 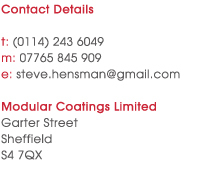 If you're looking for Powder Coating Sheffield, try Modular Coatings. Call Modular Coatings for more information on 0114 243 6049.